The yarn is intentionally knit a bit loosely. 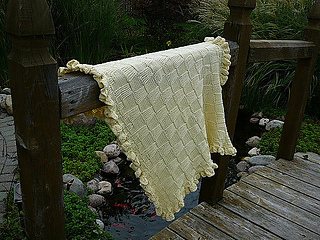 Pattern includes instructions for both a ruffled and non-ruffled edge. The ruffled edge takes another 3/4 skein of yarn.